Mountains and Water: Clif Hanger: Raising the Bar on Sponsorship? Clif Hanger: Raising the Bar on Sponsorship? "We concluded that these forms of the sport are pushing boundaries and taking the element of risk to a place where we as a company are no longer willing to go. We understand that some climbers feel these forms of climbing are pushing the sport to new frontiers. But we no longer feel good about benefitting from the amount of risk certain athletes are taking in areas of the sport where there is no margin for error; where there is no safety net." The rest of the world, outside of climbing, tends to be horrified by the thought of climbers plummeting to their deaths from a high height, and finds statements such as "at least he/she died doing what he loved" small consolation to those left behind. The company's association with the Yosemite "outlaw" epic "Valley Uprising" (in the spirit of which, can someone send me a bootleg copy so I can review it? Just kidding, kind of....) must have clarified some thinking up in the executive suite as well since illegal BASE jumping and drug consumption, among other diversions, feature prominently. The climbers let go were relatively nonplussed because, well, you have to be when every OR can bring the hatchet down on your measly stipend. This stuff happens, like, a lot. Apparently Clif Bar had second thoughts with a couple of them but Cedar Wright rebuffed the offer of renewed affiliation, being quoted in the New York Times as saying, "It’s like your girlfriend who breaks up with you and wants to get back together. But she’s not really that loyal.” I wonder though, if one had a girlfriend worth half a billion and is paying you to go climbing, whether there are more than a few self-professed "dirtbags" who could overcome their scruples to come back, for a little longer anyway. But I digress. So what's the upshot of all this? Mostly the sorry spectacle of a climbing scene once again seriously overestimating its marketing clout, let alone its purchasing power, and even more laughable, endorsing the notion that somehow a company has a responsibility to support climbers and activities that are "pushing the boundaries of the sport" or whatever it is that sponsored climbers are supposed to do. I'm sure we can all think of prominently publicized and sponsored climbers who are not all that. If I name a few everybody will hate me so discuss amongst yourselves. Perhaps most laughable of all is the utter absence of actual dollar figures, that perennial conversational staple of sports with real compensation. If an NFL player is let go because of criminal activity, we know what's at stake. A lot of green. But in climbing, what are we talking about? What a lousy semi-pro golfer makes at a master's tournament? Is this like academia, where it is said, "the fighting is so fierce because the stakes are so low"? Will we never know what so-called pro climbers actually earn, what kind of income they are supposed to be risking their necks for? Apparently that topic is reserved for the lower orders in the climbing hive such as the Sherpas on Everest who actually work and really risk their necks and are dying en masse in recent years. None of the media covering the story bothered to ask and nobody has offered to tell. 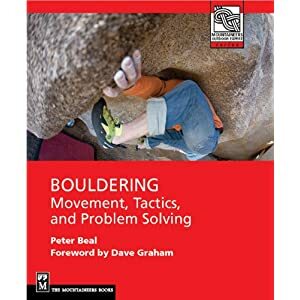 That all fits nicely into the self-deceptive narratives of climbing and its threadbare concepts of individual freedom and independence. How gauche to discuss money and corporate policy and while we're at it, damn the man for not paying me to climb rocks! Whatever. Dear pro-wannabes, my advice is, if Clif Bar comes knocking, answer the door quickly and reply nicely, even enthusiastically, "YES." And wear a helmet while you're at it. Plenty of room for sponsor stickers there. > I'm sure we can all think of prominently publicized and sponsored climbers who are not all that. If I name a few everybody will hate me so discuss amongst yourselves. I'll bite, and p*ss off the entire left side of the Atlantic for laughs: Alex Honnold is clearly a capable climber and seems like a nice guy, but has he done anything that is actually a step up on Hans-Jörg Auer's solo of the Fish? That was the most drops-spoon-in-porridge bit of climbing news for me in recent years. Clearly he is more American than H-J, which is clearly a legitimate factor for an American company's marketing department to consider. And prettier, as per some of the other examples you may be obliquely hinting at. I think Alex is a great climber to sign on for any climbing brand, not least because of his charismatic low-key style. I also think his solo-climbing is spectacular and cutting edge enough to justify its popular awareness. In fact all of the dropped climbers are certainly worthy of some level of sponsorship by major companies in the climbing world. The question is whether that serves the ultimate purpose of moving product. The stakes are very real for a large-ish company like Clif Bar. This was not only a funny read but quite true. It reflects my own opinion about the often myopic reactions we have when our ‘heroes’ (read: ideals??) are threatened and we feel the need to prove to ourselves that we might have a tide-changing effect in the climbing world when really it’s being overshadowed by a corporate presence that’s always been there. The saying ‘Don’t hate the player, hate the game’ keeps popping into my mind during this meager ‘social uprising’ (hard to even place it in that kind of context) wherein Clif Bar is a ‘player’, profit margins are the ‘game’, and Honnold et. al. seem to be…monopoly game pieces? Cutting out negative externalities in the forms of ‘sketchy’ behavior, sketchy behavior that your company may have to internalize the cost of only seems like following the rules of the game, and predictable at that considering the direction ‘mainstream’ climbing is headed. In light of that statement I do often think about a world in which ‘sponsored’ climbers are now robotic, manufactured, and overtly soulless. Forced to adhere to an insurable corporate-produced standard of uniformity in order to make money off of an activity that has now become so guarded and refereed that it no longer resembles the innate uniqueness of expression. The ‘un-sponsored’ pro climber becomes the outlaw; the invisible dying ghost of Pan whose stench is un-palatable to the artificially grown climber now root bound in its own pseudo-ideals. So, are Alex, Steph, Cedar etc. merely small pebbles at the beginning of an avalanche? A sweeping change that all climbing companies will begin to mimic (as soon as they start to net $500mil that is)? Or is it meaningless? And yes, I would whole heartedly and have on many occasions wondered how much the ‘average’ pro-climber makes. Let’s have that discussion as well and maybe, just maybe we can start to understand and respond to situations like this one in a more analytical fashion. On a side note, I suspect that most sponsored climbers still take in less than a semipro or pro in a PGA major tournament. Assuming a golfer just plays in about 5-6 major tournaments they can bring in six figure money (not including sponsorship).